Get Your Hair Sorted For The Spring! Home > Get Your Hair Sorted For The Spring! If you’re anything like me, the moment the calendar turns the page to winter, I’m on a continual countdown to 1 September and spring! Spring conjures up all sorts of happy thoughts like baby animals and fresh bulb flowers that have made it through the cold of winter and have pushed through the earth to share their beauty and best of all warmer, sunnier weather! Winter can feel long and tedious, it can wreak havoc on our emotions and our bodies and hair. What better way to shake off winter than by pampering yourself with a new hairstyle? Don’t just think of a slight standby trim to refresh your locks – try something new! A new hairstyle can be daunting to some – especially if you don’t have a lot of time to spend on you. However, taking just a little time for you can make you feel like a whole new woman and improve your whole view of life. Not all hairstyles need to require a lot of upkeep, or need to be a drastic change from what you have now. The hairstyle fashion for Spring 2017 is one of an empowered woman. What does that mean and more importantly what could it look like for you? The Spring 2017 runway is full of female empowerment styles, with gelled wet-look locks and slicked-back structured styles. Past decades are making a comeback too with styling taken from the 70s and 80s. The key feature of any of the current popular hairstyles is not so much the style that your salon has given you but how you wear your hair. There is a big move away from any set trends and a push towards wearing your hair your way. Whilst last season was obsessed with curls, the key this spring with curls is the texture and waves. If you have naturally curly hair, you could try pairing your curls with an extreme side parting for a dramatic impact. If tight curls aren’t your thing, then you can go for a more relaxed wavy and tousled hairstyle with a wet-look effect. This look oozes glamour and confidence. Hair can be used as a weapon and a symbol of confidence and empowerment. How can you achieve this look? Sculpture, Gel and a wide toothed comb can provide the ultimate in Power Hair looks. Again, if you prefer simple then a slicked back, ultra cool ponytail can give you a no-nonsense style. 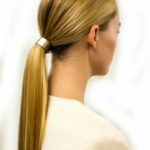 For a different you could wrap your ponytail with belted-style ribbons. There has long been a fondness for all things the decade of the 70s brought to the world. This spring, we are seeing a return of shag cuts, nonchalance and choppy textures. Don’t think bad school photo hair, this year the emphasis is on going BIG on the bottom. This year it is the half-down part which is the focus. Maximum volume on the bottom is the key to this latest season look – from brushed out to maximum curls. If you’re hesitant to chop your hair, just tuck your hair up and under for an evening fling with a shortened style. If you don’t like it, not to worry for at the end of the night you untuck it and your hair is back to its normal length and style. One of the best things you can do as a woman is to pamper yourself. So whether you have a set idea of what kind of new hairstyle you want or if you just know you need a change but are uncertain about which way to go – call Serenity Hair and Makeup. I have a wealth of experience making women all over Auckland feel and look great. Not only can I guide you to a style that will compliment your face, your outfit or your occasion but I can also help you with makeup to make you feel a million bucks! Because my hair styling service is mobile, I can come to you no matter where you are based in Auckland. This makes choosing to work with me a great choice especially if you are needing some beauty assistance straight after a day at work for example – I can meet you at your place of employment and you can leave straight from work looking and feeling fantastic! With over 10 years of experience in making women just like you feel and look their best, I look forward to meeting you and helping you experience a new hairstyle for Spring 2017. 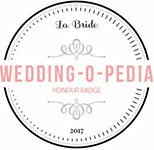 Previous Previous post: Dressing Your Hair Or Hair Dressing? Freelance Makeup & Hairstylists Wanted! !